caliber typically feature resort-style amenities in and around the homes as well as inside each community. 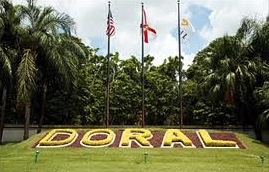 Additionally, Doral offers excellent private and public schools that are very close to the exclusive Doral neighborhoods. 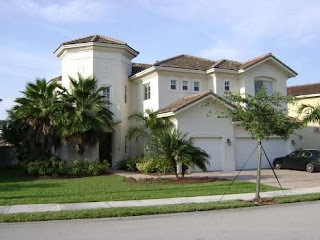 Following are the top five (5)-bedroom homes in Doral. As one of the most expensive homes in of Doral, this beautiful, Mediterranean style home in gated Doral Estates sits on a tranquil lake with lovely views of golf course fairways. Not only does it have has five bedroom and five and a half baths, it features an incredible pool with deck and gazebo barbecue area that connects to a deluxe pier sitting on the expansive lake. Perfectly manicured landscaping surrounds the entire estate-style home of almost 5,000 square feet. In addition to a beautiful gourmet kitchen with stainless steel appliances and plenty of granite counter top counter space, high-end fixtures and finishes make this house as beautiful on the inside as it is on the outside. Part of the draw of living in an exclusive Doral community is the ability to enjoy the beautiful Florida sunshine. And at this home in Doral Isles Mediterranea, the 4,200+ square foot property showcases a wonderful outdoor living area that offers extensive areas for enjoying this vacation lifestyle. With a built-in pool, large outdoor kitchen and living area facing the tranquil lake, being outdoors is a favorite activity all year long. Inside, there five bedrooms, four baths, an open kitchen and family room, elegant formals, and so much more. Details like tray ceilings, crown molding and high-end fixtures add to the quality of this gorgeous Mediterranean-styled home. Built in 2000, this home in Doral Isles Venetia offers a favorite attribute of many homeowners – the master suite on the main floor. Additionally, there are five bedrooms and three baths along with a large family room, formal dining room and excellent kitchen with lots of room for preparing gourmet meals. The waterfront property provides a welcome retreat after a long day the office and a wonderful place for a large family to spend time together. Lots of green space and perfect landscaping add to the beauty of this contemporary and elegant home in Doral Isles Riviera. With five bedrooms, three baths, a large kitchen included in the 3,300 square feet, this home is perfect for a large family. The interior design has a very modern but warm touch with updated design elements. Another feature is the downstairs bedroom designed from the third garage (both with permits). Outside, home owners enjoy the outdoor living area and pool with a tropical landscape and atmosphere on one of the largest lots in the entire community. This home is one of the most spectacular in all of Doral real estate. 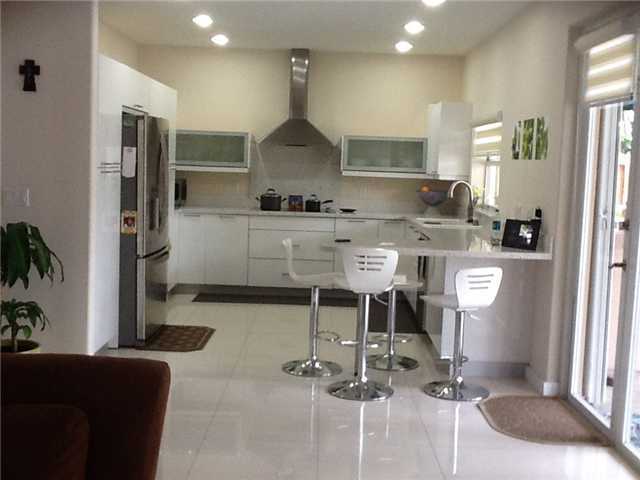 Situated in Doral Isles Pacifica, it is close to everything in Doral. Built in 1998 and recently remodeled, the first word that prospective buyers utter is “WOW! !” Along with open rooms and sharp lines, the most unbelievable feature has to be the kitchen. With dark contemporary cabinets that offer LED lights inside each one, lots of counter space, and updated high-end appliances, this is a dream kitchen for any self-proclaimed chef. Other high-end fixtures and finishes include Italian porcelain and bamboo floors throughout the home. Additionally, the home features computerized video surveillance cameras that are controlled from anywhere in the world. The outside patio has marble floors that surround the most beautiful built-in pool and outdoor living area. This is such a wonderful home! Different communities appeal to different buyers. With so many amenities to accommodate different tastes, it is no wonder that so many potential buyers are considering making their homes in one of the luxurious Doral homes. One thing is for sure...Doral real estate affords many the opportunity to live in a very luxurious setting at a much more affordable price than an equivalent home in Miami.